Arthur Boyd once said he stressed the uniqueness of the Australian landscape and its metaphysical and mythical content. The Dookie Quarry isn’t exactly a natural landscape but it is certainly unique, and is becoming even more interesting. Located ‘up behind the showgrounds’ (or footy ground if that is more your language), the Dookie Quarry was opened in 1915, supplying crushed rock around the district, including granite that helped build the original, now Victorian, Parliament House. My personal connection is that I, like many kids in Dookie, grew up catching tadpoles in the natural pond that would form after heavy rains near the Quarry entrance. And that an oil painting of its jagged red and orange rock by Aunty Merle Knox hung next to our family kitchen table, on the wall of its southerly direction, so it felt like we were looking at it through a window. But the Quarry is no longer quiet, and thanks to being the recent recipient of Regional Arts Victoria funding from the Victorian Government (rumour has it that it was the favourite project of then Minister for the Arts, ex-Premier Ted Baillieu), it will soon be a performance space — The Quarry Ephitheatre. The $350,000 will help bring music, dance, performances — and audiences — to the little town of less than 300 in the hills. The funding will also help to ‘activate’ other parts of the town. 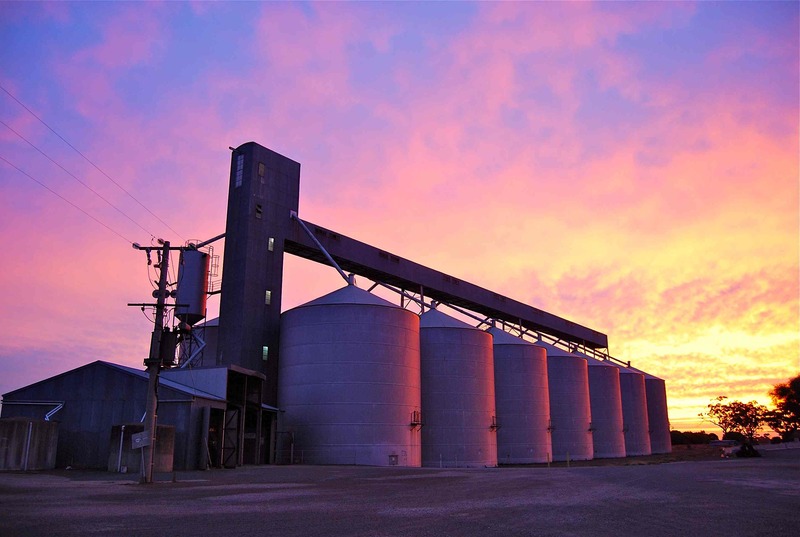 With projections quite the fashion in the public art world at the moment, there is also discussion about lighting up the Dookie wheat silos with art. These silos, which seemingly stand as high as the Sydney Opera House at the western entrance of the town, would have a backdrop of Mt. Major, paddocks and gumtrees. I think Arthur Boyd would be pleased. Here’s an article from May 2013 in The Age with a great photo (and owner of the land Paul Trickey to the right of shot).